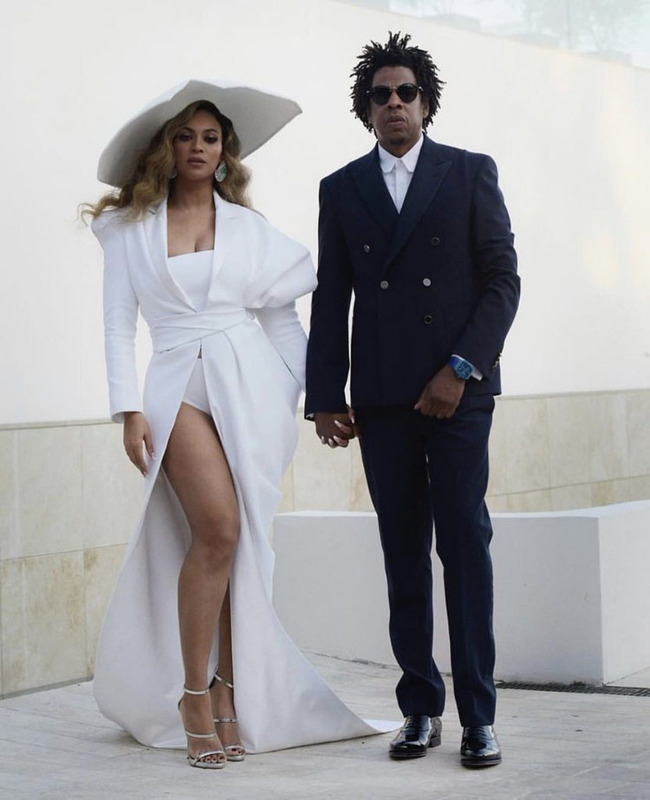 The 2019 NAACP Image Awards took place on Saturday (March 30) in California, with Sir Carter from Brooklyn, and your highness from Houston – commonly known as Jay-Z and Beyonce Knowles – in attendance. 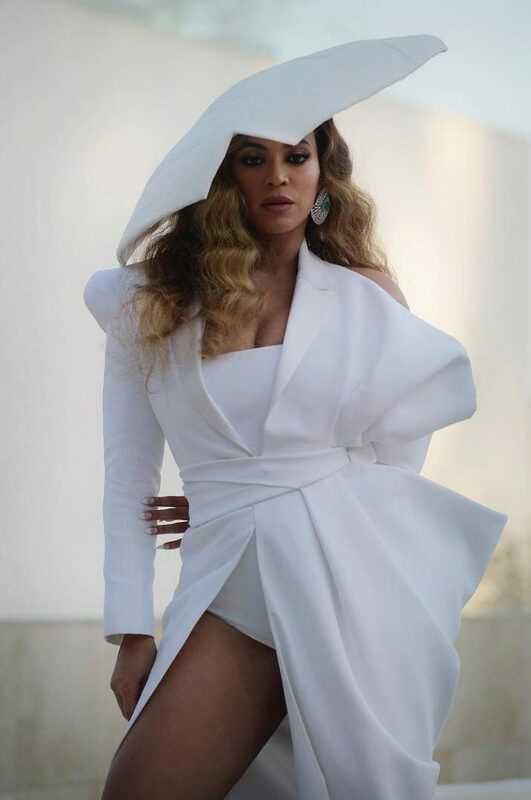 Beyonce accepted her ‘Entertainer of the Year’ award, wearing her second look from the Balmain Spring 2019 Haute Couture collection. This all white look continues Bey’s love affair with sharp silhouettes and oversized hats. I love the extra bit of drama her hats usually bring to her looks, but I didn’t buy into this one. It feels a bit limp in comparison to the rest of the look, and I just don’t feel it was needed here, as Bey’s star quality shines through. Giuseppe Zanotti ‘Harmony’ silver sandals, plus diamond and emerald earrings completed her look.